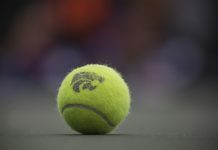 The Kansas State tennis team participated in the Intercollegiate Tennis Association Regional Championship in Lawrence on Friday. With all of the singles players and doubles groups getting at least one win in the tournament, K-State moved on to round two, but the Wildcats were unable to advance past the round of 16. 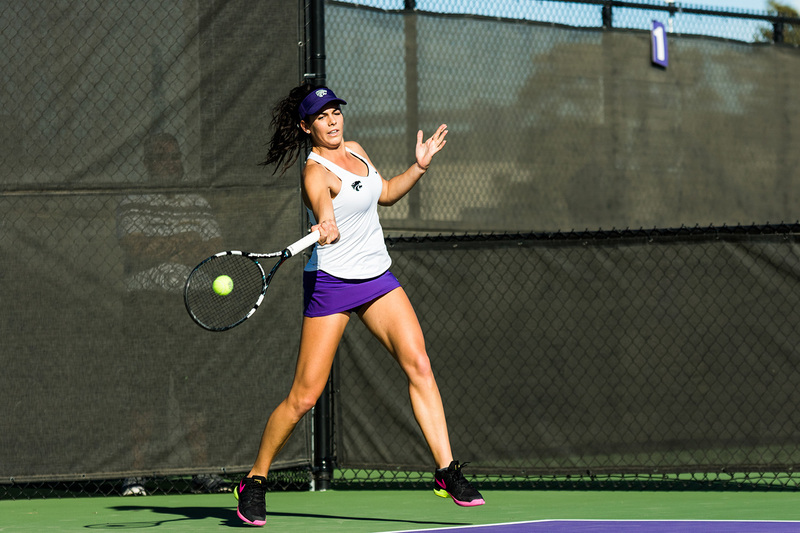 Redshirt freshman Margot Decker and sophomore Ines Mesquita made it the furthest in the tournament for the Wildcats, both advancing to the round of 16 in singles play. Decker won two sets to none in all her matches before falling 0-2, while Mesquita won 2-0, 2-0 and 2-1 before her 0-2 loss. Decker made an appearance in the doubles tournament too, paired with freshman Anna Turco. The group made it the farthest of any K-State duo, reaching the round of 16, winning previous matches 8-1 and 8-2 before losing in the round of 16 by a score of 2-8. The Wildcats played additional matches on Saturday as well. Freshman Rosanna Maffei defeated Tanya Nikolaeva from the University of Kansas 7-6 (7-4), 6-1, and freshman Maria Linares defeated the University of Nebraska’s Balia Bangoura 6-3, 6-1. The Wildcats will travel to Chapel Hill, North Carolina, on Nov. 3 for the University of North Carolina Invitational.